Imagine being able to help create a family that would never exist without you, while supporting your family. If you have had a healthy pregnancy and want to help others please contact us to find out more information on becoming a surrogate mother. What makes A Family Tree Surrogacy unique is that we work with surrogate mothers from all walks of life. Whether you are a first time surrogate mother or an experienced surrogate mother our commitment is to be with you every step of the surrogacy. 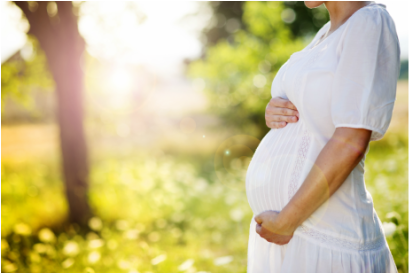 At A Family Tree Surrogacy we feel you will be an incredible surrogate mother. We respect your deep commitment to helping others and A Family Tree Surrogacy wants to make the surrogacy journey as smooth and joyous for you as possible. If you would like to be considered as a surrogate mother, please contact us or fill out a brief application. A Family Tree Surrogacy works with surrogate mothers from Oregon, Washington, Texas, California, Colorado and all other surrogacy friendly states. Ask about our Signing and Referral Bonus! A gestational surrogate mother has no genetic relationship to the child to be born. The gestational surrogate mother acts as merely a loving carrier for the child to be born. Gestational surrogacy is the preferred form of surrogacy for legal purposes. A traditional surrogate mother has a genetic relationship to the child to be born. The traditional surrogate mother acts as the egg donor and surrogate mother. There are a number of legal complexities involved with traditional surrogacy and it is always advised you work with professional when doing a traditional surrogacy. This list is meant to serve as basic information for what intended parents typically look for in a surrogate mother. This list is not exhaustive. Willing to abstain from alcohol and drugs. To become a surrogate mother is a great responsibility and an amazing gift. There are certain risks with pregnancy as well as the emotional and psychological challenges associated with being a surrogate mother. You should be mature and stable, and be willing to commit the time and energy needed to complete a surrogacy journey. If you would like to become a surrogate click here.